I cut my twist some and I was able to throw it up in a bun without it being so heavy. 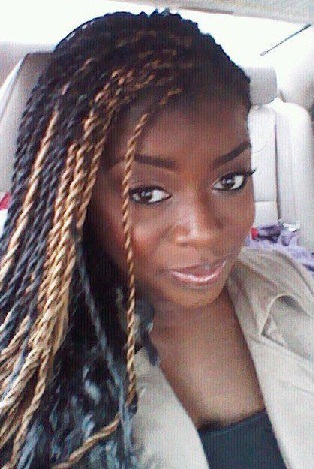 “YouTubing”: How to style braids, twist, dreads, etc. I usually wear my Senegalse twist down, to one side, or in a ponytail. Well, this time I’m going to attempt to change it up and try different styles. I’ll post pics (maybe videos, ehhh!) of the styles I try. For now, here are a few videos that feature styles I would like to try. FYI- You may want to mute the 3rd video. 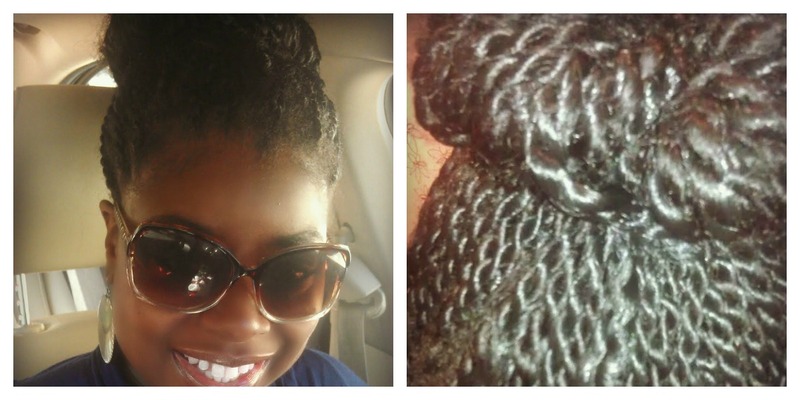 How I learned to Senegalese Twist. When I did my bog chop, I was living overseas in South Korea. I had NOOOO idea what I was going to do with my hair. Looking back, I wish I had more products and knew the info I now know bc I could have rocked my TWA (teeny weeny afro) and really did the dang thang. BUT, for me, resources were few in Busan Korea. Thankfully, I met a Nigerian woman who was braiding hair outside a military base in Daegu and for 7 months she kept my hair in Senegalse Twist. When I returned to the U.S., I wanted to keep getting my twist but the prices over here were so high compared to what I’d gotten used to paying so I had to either learn to do it myself or “bite the bullet.” I chose to learn…I watched this video for about an hour and got down to business. The first time it took me two and a half days (on and off). The second time, just 6 hours.